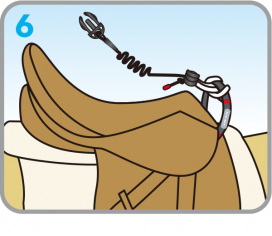 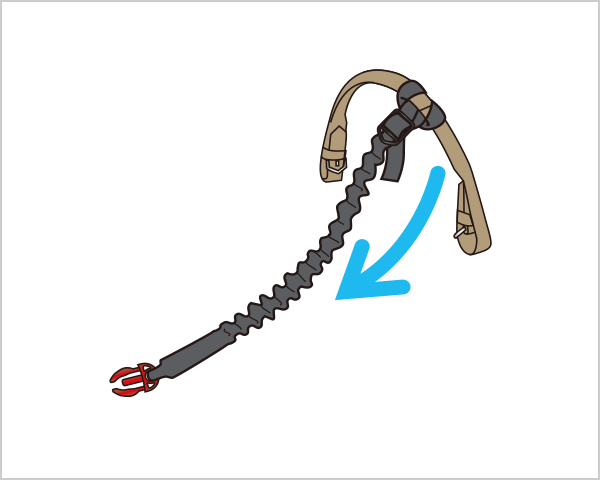 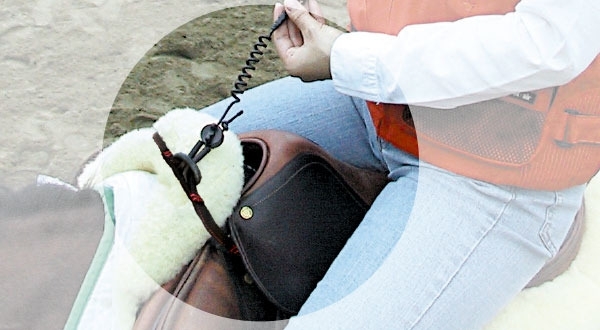 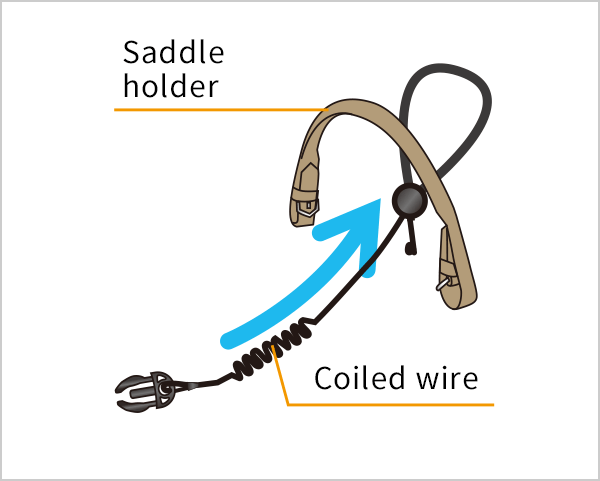 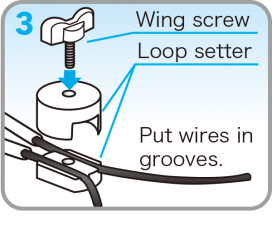 How to fix Coiled Wire | SUPPORT | horse | - hit-air - Werable Airbag | Mugen Denko Co., Ltd.
1）How to fix a Coiled wire to the Saddle holder (Grab Strap). 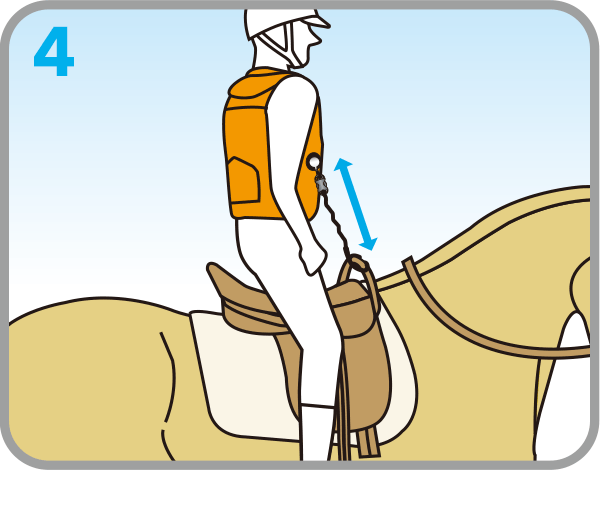 A saddle holder is required to be attached to the saddle. 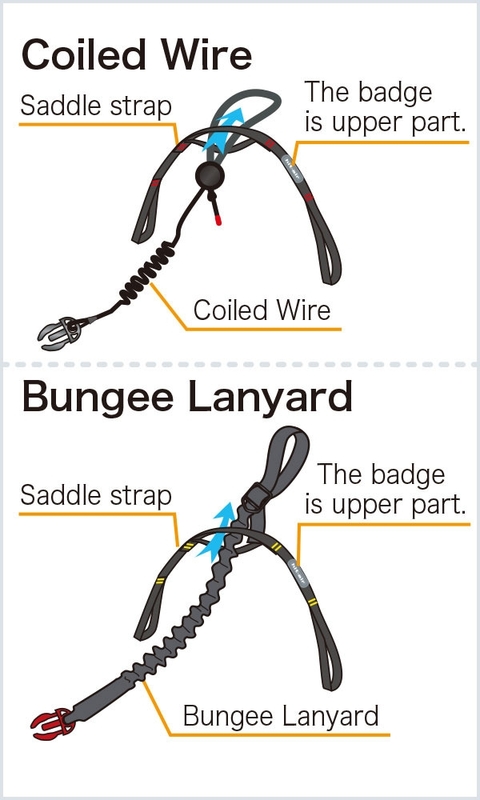 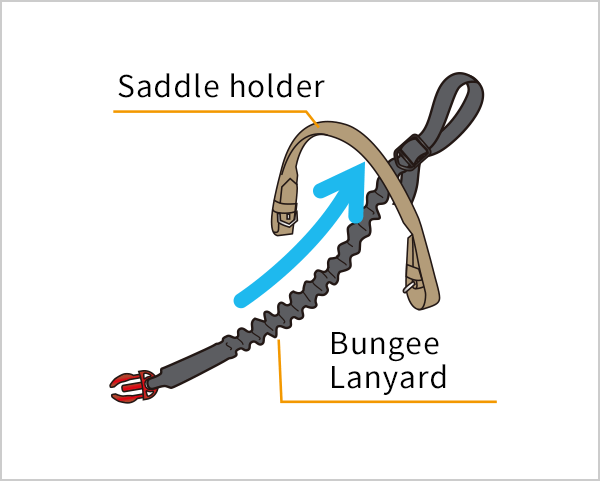 2）How to fix a Bungee Lanyard to the Saddle holder (Grab Strap). 3）How to fix a Saddle Strap to the saddle. 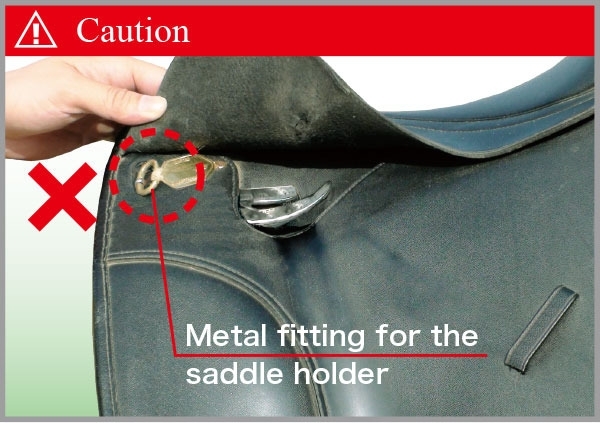 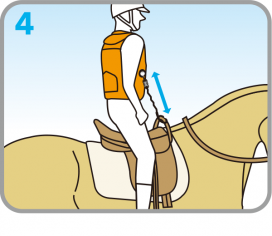 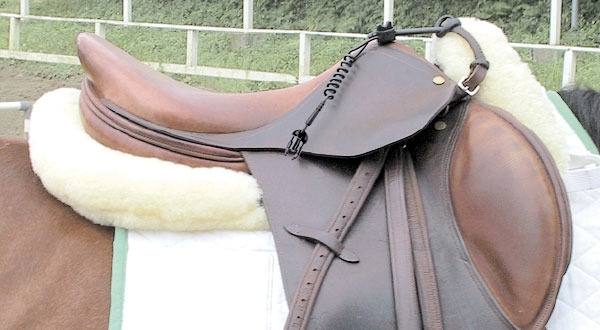 Saddle strap is to be fixed to the stirrup hooks of the saddle. 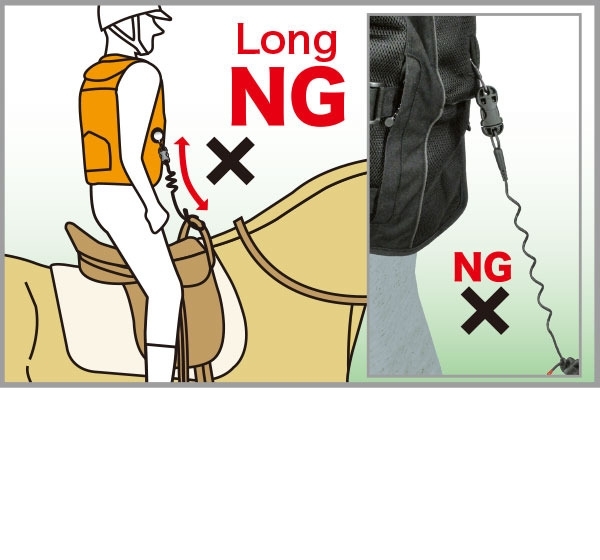 How to fix to the Saddle Strap. 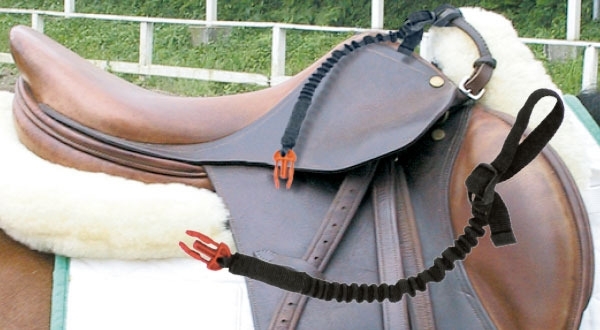 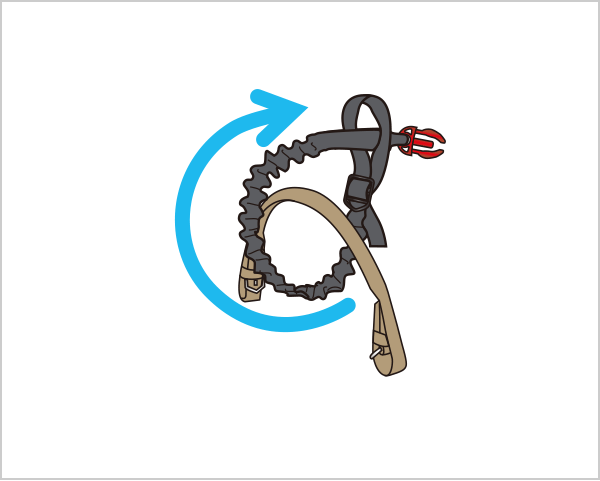 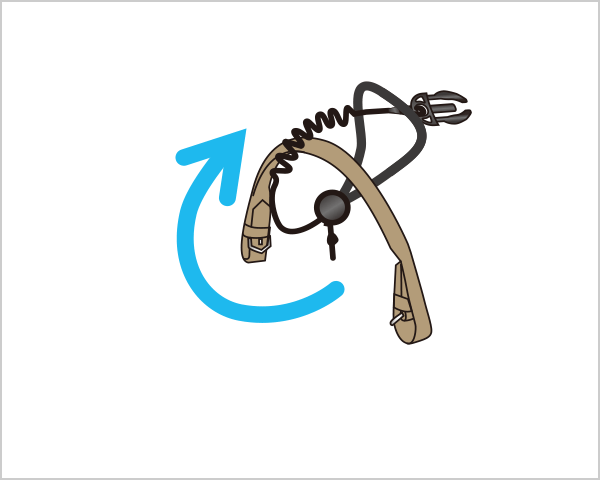 loop of the saddle strap. 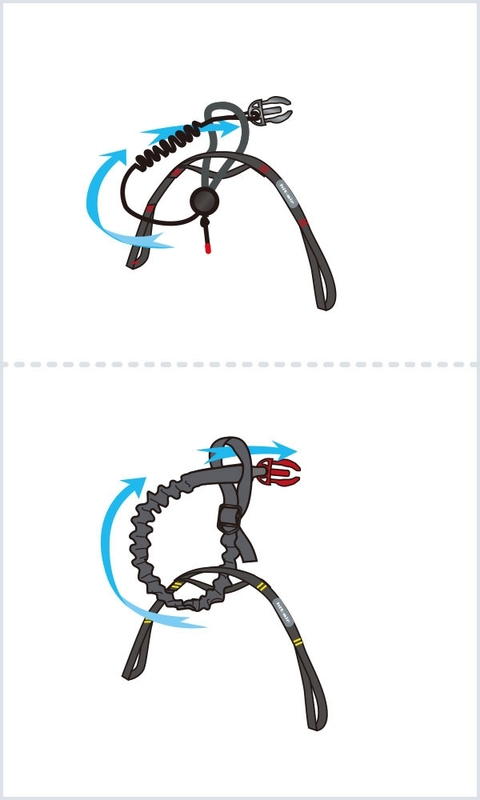 to the other side’s loop. 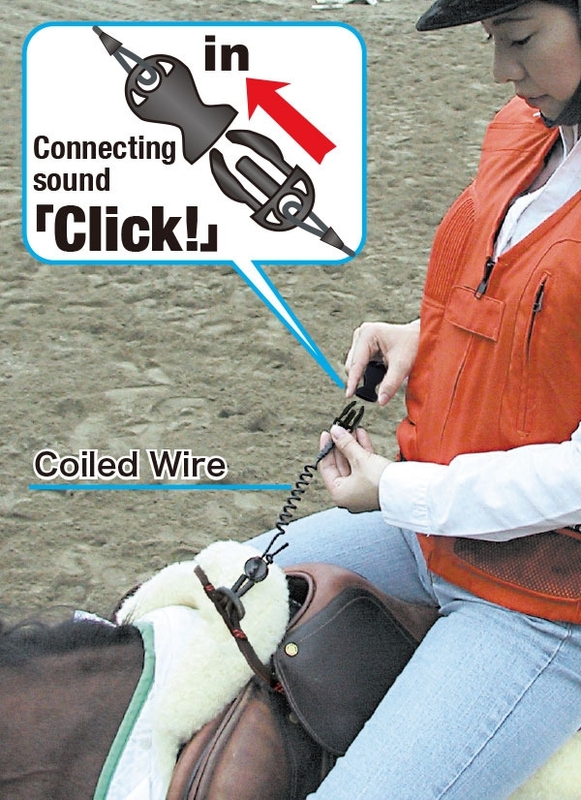 Connect the male connector at the end of the coiled wire attached to the saddle with the female connector attached to the key ball in the key box. 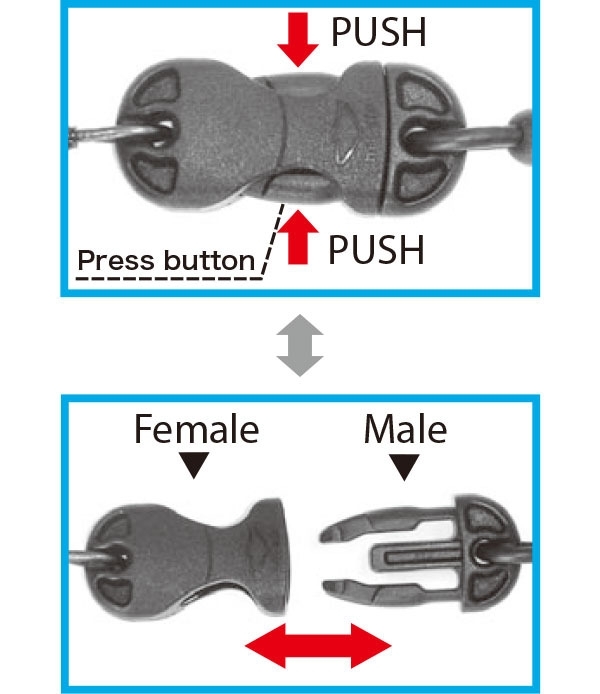 Hold the female connector and insert the male one.A clicking sound confirms that a connection has been made. 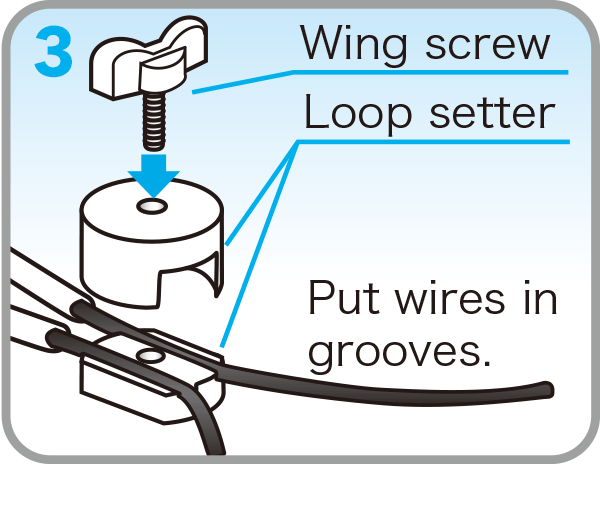 Pull the male connector lightly to make sure that the connection has been made properly. 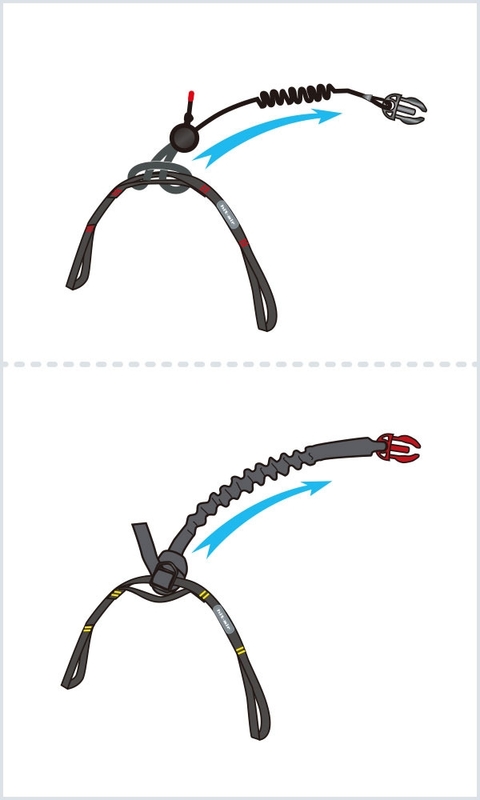 If you have difficulty making the connection, clean the male and female parts thoroughly. 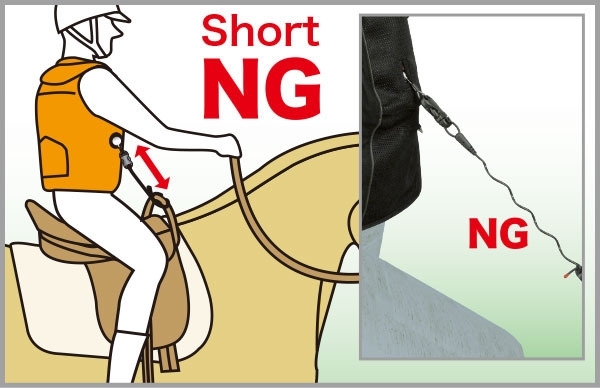 Change it for a new one, if the insertion cannot be made properly. 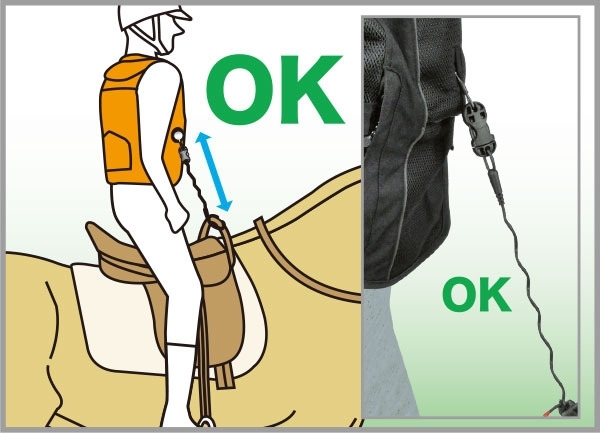 Insertion by force may cause a malfunction of the one-touch release. 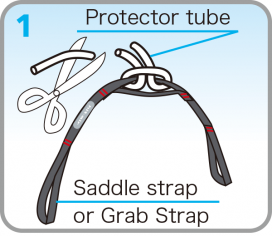 Turn the emblem of the saddle strap (or Grab Strap) up, wind a protector tube around the upper side of the center of the saddle strap and cut the excess tube. 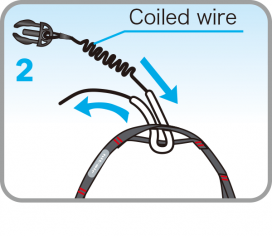 Pass a coiled wire through the protector tube. Temporarily fix the coiled wire outside the protector tube in the loop setter and adjust its length. Stand up on the stirrups to make the coiled wire fully stretched to determine the optimum length of the coiled wire. 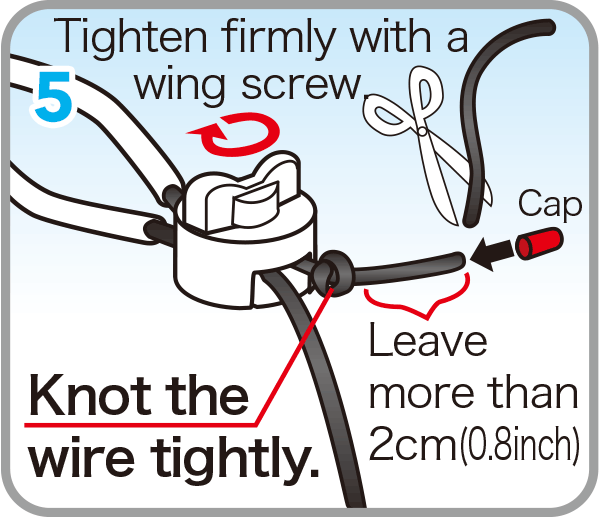 Fix the coiled wire firmly in the loop setter, tie a knot in its end and cut off the excess, leaving morethan 2cm (0.8 inch) of extra length and put a cap on the cut end. How to adjust the length of a coiled wire. 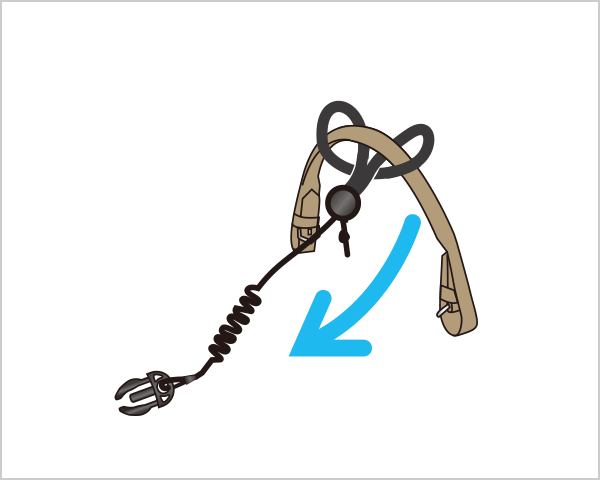 Don’t fix a coiled wire directly to metal fittings for the grab strap which may be broken ormay come off and the system may not activate.